Hello!! Looking for a yummy, easy treat that is perfect for breakfast, brunch, afterschool snacks, dessert, you name it? One that freezes, is kid approved, and easy enough to let all the little hands help? 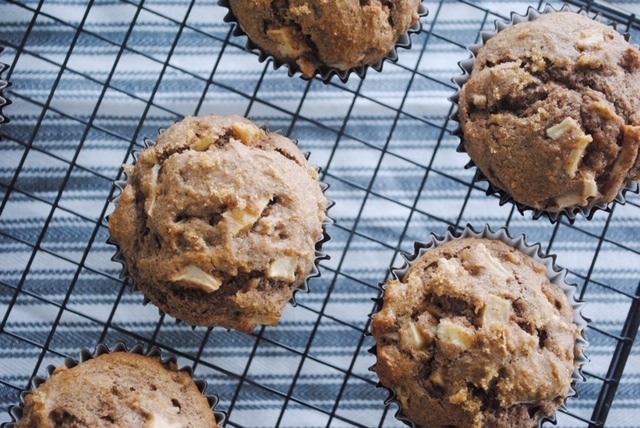 These whole wheat apple muffins are just that. 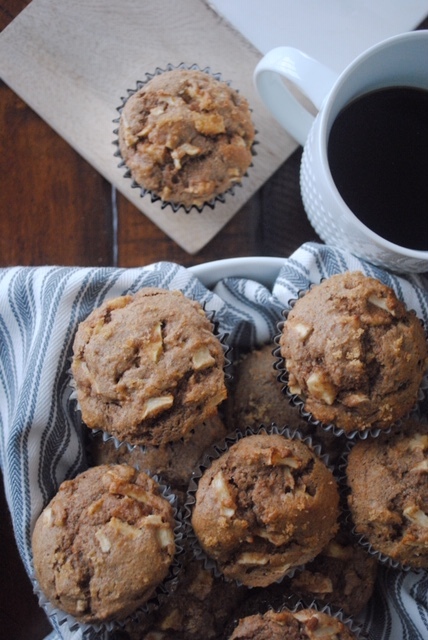 These apple muffins are chalked full of apple bits with hearty whole grains and cinnamon topped with brown sugar to give them just enough sweet to and crunch. I recently had shoulder surgery rendering me one armed and taking all the help I could get. I always knew my seven year old enjoyed helping in the kitchen, but it wasn’t until this past week that I realized there was genuine interest to learn. It’s so easy for me to brush past that interest. To allow that first instinct of we don’t have time, or I don’t want the mess, but it’s so important for me to push past those tendencies of mine and really lean into her interest. And so we baked. First, preheat oven to 450. Peel, core, and chop your apples. Then combine your dry ingredients in a bowl and set aside. In another bowl, cream your butter and sugars. Mix in your eggs. Next, on a low setting, gently mix in your buttermilk. Careful, overmixing buttermilk can cause curdling. Then, mix in dry ingredients. Next, fold in apple. Add your silicone or paper liners, grease and flour muffin pans, or use a silicone muffin tray. Next, fill muffin tray with mixture. Pro tip: use an ice cream scoop like this to save time and have uniform shapes and sizes. Lastly, top muffin batter with brown sugar to add the crunchy goodness. The amount of sugar is really up to your discretion. The original recipe calls for 1/4 cup brown sugar for the topping. For a special occasion or gathering, I go big and pack on the sugar, but in most cases, for snacks and breakfast at home, I lightly coat the top with a pinch of brown sugar per muffin to cut sugar for a healthier treat. Bake muffins for 10 minutes at 450. Then turn the temperature down to 400 and bake for an additional 5-10 minutes. I typically take mine out at 5 because my kids are ready to taste their work! You can use a toothpick to poke a center muffin to see if they are fully cooked. If it comes out clean, they’re done. Let cool to touch in the pan for about 5 minutes, and then transfer to a wire rack to cool completely…or serve warm with milk immediately and devour!! Recipe makes approximately 18 muffins. 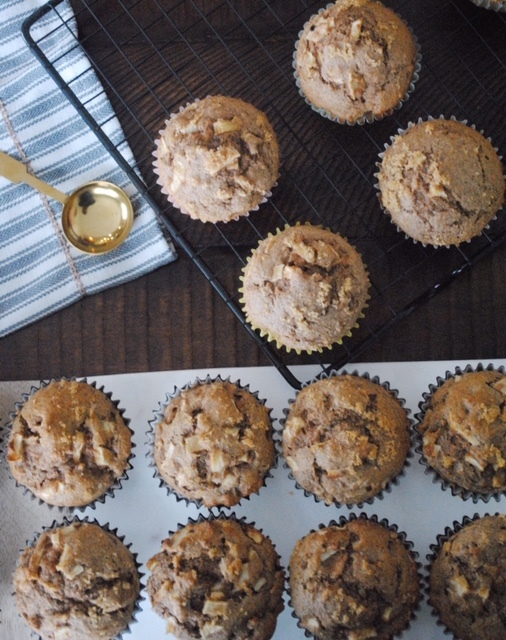 These whole wheat apple muffins are freezer friendly. 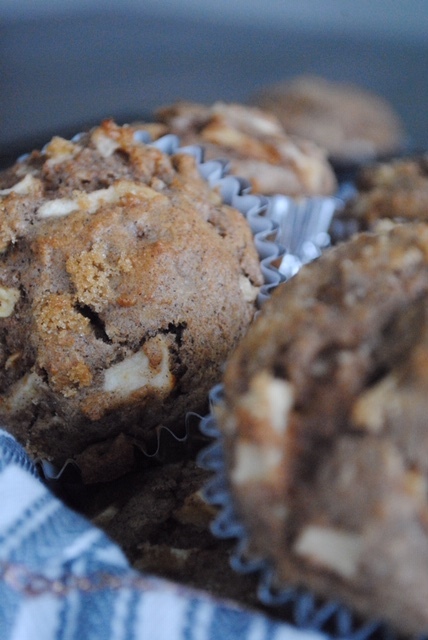 To freeze, place completely cooled muffins in a freezer safe, air tight container and freeze. Peel, core, and chop your apples. Combine your dry ingredients in a bowl and set aside. In a seperate bowl, cream your butter and sugars. Gently mix in your buttermilk. Overmixing buttermilk can cause curdling. Add muffin liners and fill muffin tray with mixture. Use an ice cream scoop to save time and have uniform shapes and sizes. Lastly, top muffins with brown sugar to add the crunchy goodness. The amount of sugar is really up to your discretion. See note for further explaination. Bake for 10 minutes at 450. Then turn heat down to 400 and bake for another 5-10 minutes. Cool muffins in pan for approxiately 5 minutes. *The amount of brown sugar topping depends on your taste. The original recipe calls for 1/4 cup brown sugar for the topping. 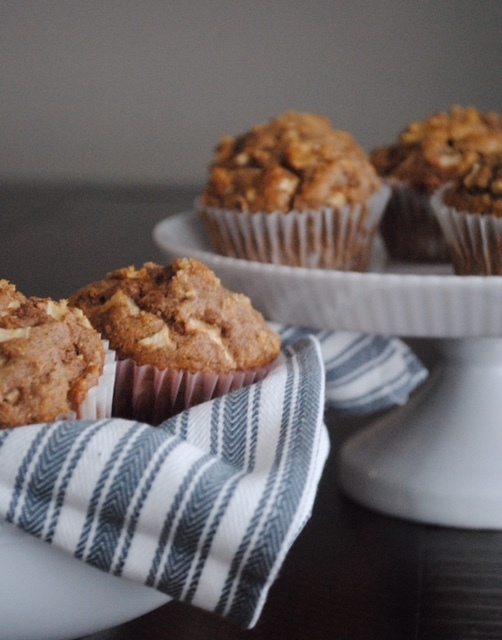 For a special occasion or gathering, I go big and pack on the sugar, but in most cases, for snacks and breakfast at home, I lightly coat the top with a pinch of brown sugar per muffin to cut sugar for a healthier treat. *To freeze, place in an air tight container, and place in the freezer. How did you decide to top these muffins? A pinch of brown sugar, or covered in brown sugar? These snacks: Fast, Easy Kettle Corn, Caramel Corn, Cashew Crunch, Five Minute Salsa, Banana Pepper Salsa, Instant Pot Hard Boiled Eggs. Mama In The Midst contains affiliate links. 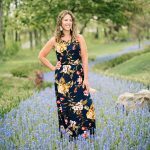 Thank you for clicking around my site! I appreciate you! These look so incredibly good! And I’m so with you on wanting kids to learn in the kitchen but it can definitely be stressful too! Thank you!But it’s hard, right? That need to control starts rising up!! That’s why I like a little break in between! Thank you!! I do, too!! Reminds me of my grandma!! She made the best apple recipes! !